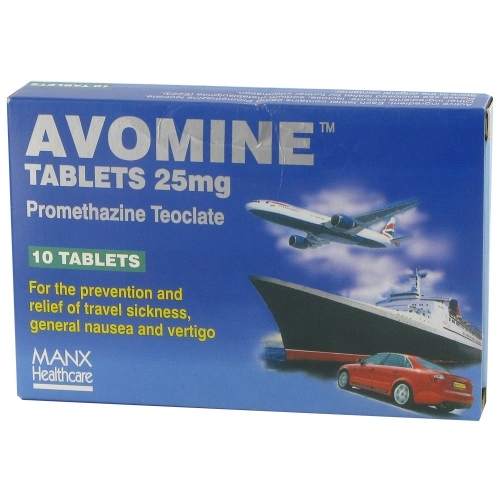 Avomine is used to prevent and treat nausea and vomiting associated with motion sickness. Motion sickness can occur when movement upsets the vestibular apparatus in your middle ear. The symptoms not only include nausea and vomiting but also dizziness, vertigo and a spinning feeling. Avomine can also be used to treat other conditions such as post operative vomiting. The active ingredient in Avomine is promethazine teoclate H1 receptor antagonist. Various receptors in the brain are blocked by Antihistamine preventing the body from vomiting, feeling sickness, and halt a vomiting reflex. This form of antihistamine doesn’t stop histamine from being produced by the body. Avomine works on the brain by blocking those messages which make you feel sick and which cause vomiting. How do I take Avomine? If you know you may encounter motion sickness then you can take Avomine 1- 2 hours before traveling. Long journeys may require you to take a tablet the night before traveling. If you are suffering from motion sickness then the medication can be taken however will take a few hours to start working. Children can take Avomine however the dose is half that of an adults dose. All prescription medications have minor side effects that you may experience when taking them. Speak to your doctor if you have any concerns about the medication. They may be able to prescribe another medication for you or change the current dose. How do I buy Avomine online? The prescription medication Avomine is used to treat nausea and vomiting is available from Loxdoc. To purchase Avomine all you need to do is click ‘Buy Now’ on the medication page. You will then need to complete a free online consultation to purchase the medication. Once you have been approved for the medication it will be sent to you within 2 working days from the chemist. 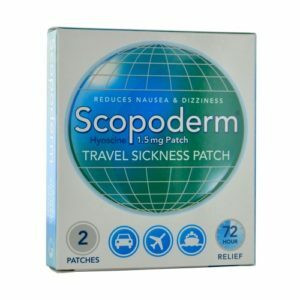 If you have tried other travel sickness pills without success give Avomine a try. The best travel pill on the market. Avomine is only travel sickness pill that works for me. I only wish that I had discovered this tablet years before I did. I spent years trying every other tablet on the market. On my first cruise I was so sea-sick I had to go the ship’s doctor. They gave me Avomine and they are brilliant. I have tried other tablets but these are best. I was first given these as a very young child by a doctor when they were prescriptiion only. They were the only pills that worked for me. As a 60+ year old I find that they are super for all forms of travel – air, sea or car. There are no noticeable side effects and I would recommend them to anyone. They are quick workin for short journeys or take the night before for longer ones. 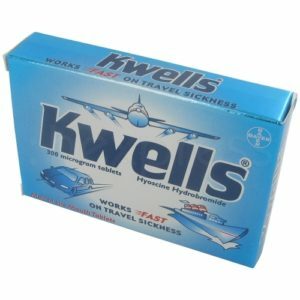 A brilliant product that has stood the test of time. I have just returned from a 3 day cruise and used avomine 25mg for the first time;I have used other products before but they just never worked.I’ve hated the thought of going out on the water till now.Avomine is a great tablet for me and it worked so quick i just couldn’t believe the fast result.I would recommend it to anyone. I didn’t get travel sick with Avomine but that’s because it completely knocked me out for four hours despite sitting in the middle of a busy airport. I then suggested my husband try one on our overnight flight so he took one half an hour before takeoff but has no recollection of ever taking off and was out for the count for the eight hour flight having never been able to sleep on a flight before. It was great for us for our purposes but I would really strongly advise against raking it if you need to stay awake. My name is JK.this tablet avomine worked wonders for me on a 10 hour flight.it only gave me a little heavy head in the plane for a few hours but you try and sleep in those hours any way.try and keep having bites of banana in between which will keep you going.keep drinking sips of water too. So pleased someone told me aboit Avomine – I’m feel good now during plane travel. I’m the worlds worst traveller in planes and boats. However a friend mentioned Avomine – I used to take quells. Since taking the Avomine I can even eat on the plane and feel fine. I don’t feel drowsy and haven’t any side effects at all. I took avomine on a cruise when I became very seasick. It works effectively and very quickly, however; I had confusion whilst taking the medication, drowsiness and very restless legs. Now more than a week since I stopped taking the medication, and I only took 2., I still feel dizzy.